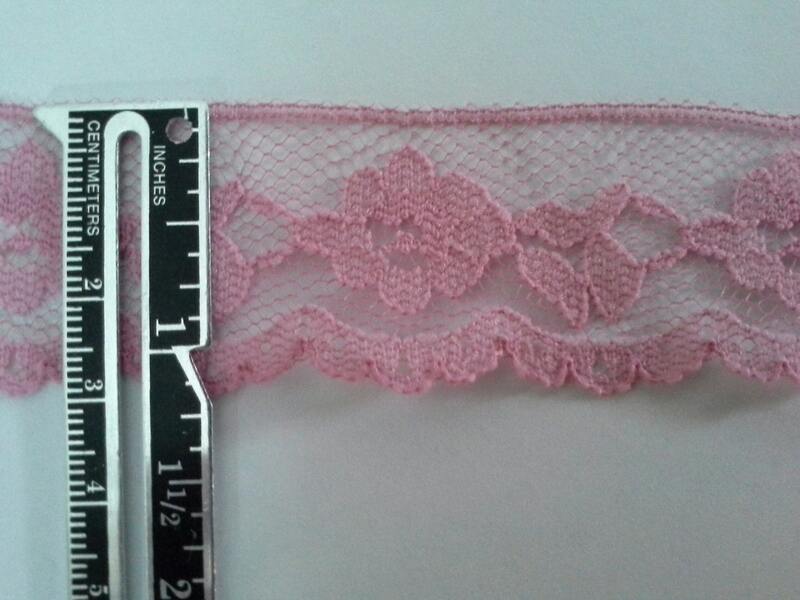 This lace was found in perfect shape. It features pink flowers and leaves and would make a super cute addition to any girl's dress. It can also be used for crafts and home accessories. 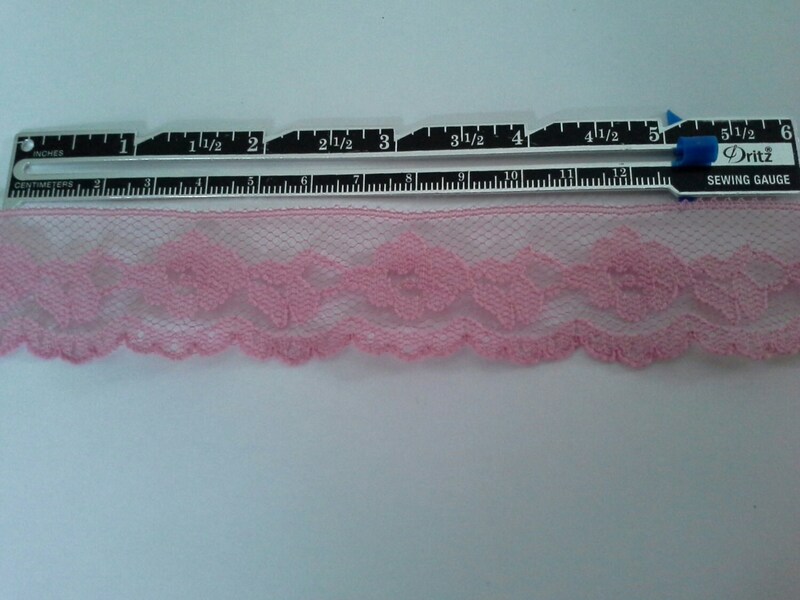 The lace is 1.25(3.2cm) to 1.0 (2.54 cm) inches wide, depending on where you measure the width. It lies flat and is not a ruffled trim. 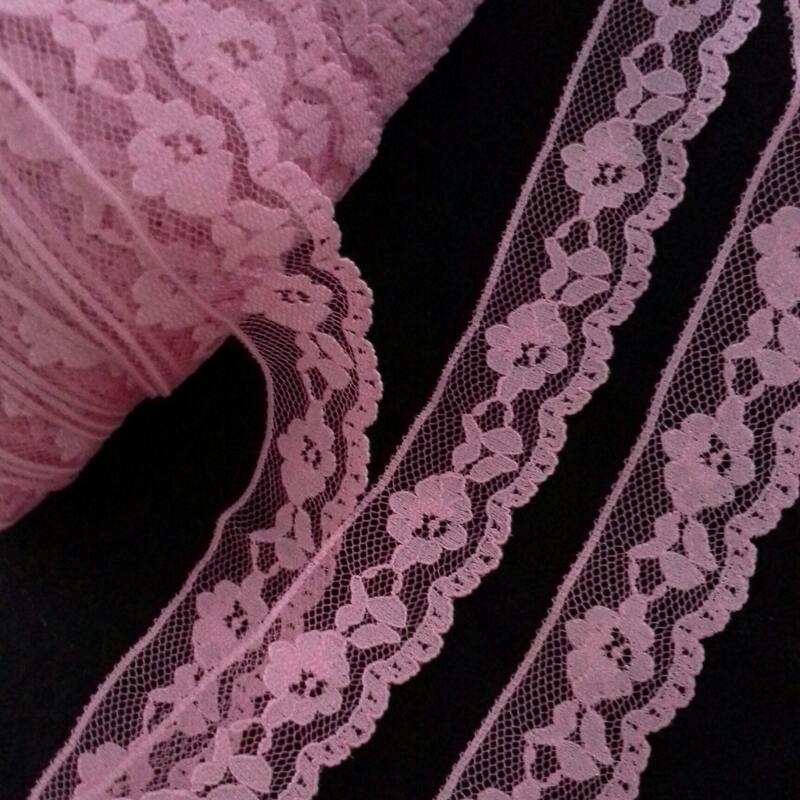 The last photo shows the lace with a Crayola brand crayon for color comparison. 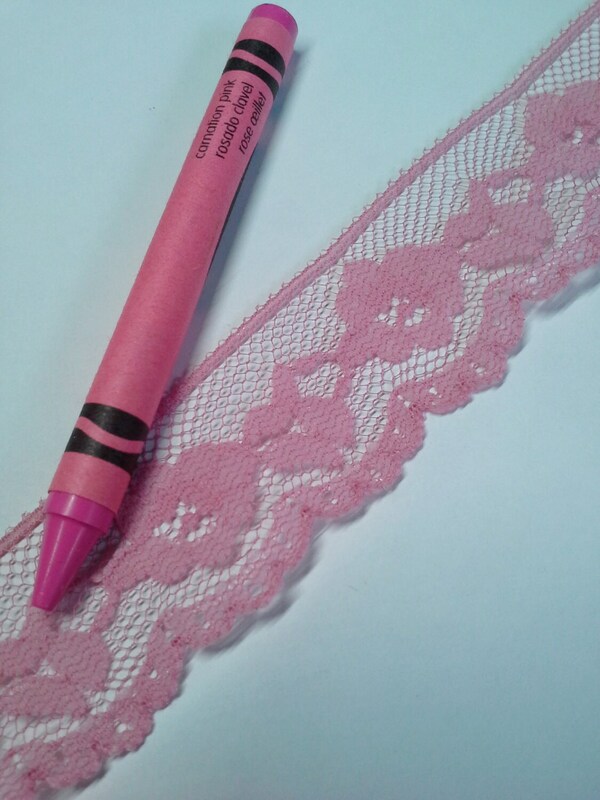 Notice how the lace in lighter in color than the crayon. I believe that the trim is made of polyester.